The eBay Trading Assistant program was re-engineered several months ago. eBay, in fact, started the recent round of controversial announcements (Fees, Feedback, DSRs tied to fee discounts, No more digital delivery, etc) with the summary and unexpected changes to the Trading Assistant system. Trading Posts had been renamed as REDOL's (?). REDOL (Drop Stores and TA's with actual business locations) were saddled with increased insurance requirements that initially contained unattainable coverage requirements. The word "Auction" has been banned by eBay as part of any private business name, signage or included in advertising...except, strangely enough, for use as an eBay account name. Legal liability shifted completely onto the small business owners selling consignment items in the eBay system. We reviewed the terms of the new program here at the Trading Assistant Journal. Our review led us to the personal and business decision to opt out of joining the new program and to drop our eBay designation as a Trading Post/Trading Assistant or REDOL. We do still sell items on consignment, just without the Trading Assistant logo. We found the terms of the agreement to be too restrictive and much too liberal in its protections of eBay for any and all legal threats in relation to any action brought against eBay itself or any Trading Assistant or REDOL by any third party. Our review of the Trading Assistant requirements and our final business decision and personal opinion plus the details of the TA/REDOL agreement have been discussed here. One of the reasons proffered by eBay for consignment sellers and listed as a benefit for joining the new program was the inclusion in the new and improved eBay Trading Assistant Directory. The "New" directory was said to have unlimited potential and would not follow in the footsteps of the previous eBay Trading Assistant directory which was widely known as being nearly useless as a tool to advertise or promote an eBay consignment business. The old directory was full of bad listings, was a rampant spam magnet and provided almost no leads for real business. In my 7 years as a registered Trading Assistant and a Drop Store owner I could count on one hand the number of leads derived from the old directory. The promises sounded good and some believed in the new system, so much so that they breezed right past the legal mumbo jumbo and signed up for this new and improved eBay TA system. This directory was to be different, it would bring more leads and business, it would be searchable and it would legitimized the eBay consignment business as it had never done before. Be aware that until this blog mentioned the fact that when the keywords "Trading Assistant Directory" were placed into a Google search box, only posts on this and other blogs would be returned in the search results. It seems that since our story regarding this SEO faux pas, the situation has been corrected by eBay (what would they know about search engine optimization?). The public is now finding the Trading Assistant Directory in Google for the first time ever (hurrah). The following are direct quotes from the eBay discussion board. These comments were posted in the Trading Assistant discussion board. Keep in mind, it is now a full 2 months since the new directory was initiated and all of the "new" members of the Trading Assistant and REDOL program were instructed on how to complete the required information for their listings in the directory. I am trying to find a TA in my area, Baltimore MD 21218. Ebay's system for "helping" has me frustrated. I went to the find a TA in your area link. I get a list of names and distance from my zip code, not very helpful. I do not care if someone is 2.3 or 2.7 miles away. I want to know what areas of expertise they have. Do they prefer to handle only new items or do they know the difference between an elephant folio and an elephant umbrella stand? How many lots they can handle a week 10, 100, or 10,000?I start clicking the TAs that are listed. Many of the listings have half the fields blank. I can understand not filling in your address or phone number but not including terms is beyond me. Very few had about me pages to see if it is someone looking to earn beer money or a business with 4 employees. There is no way to search for keywords in the TA listings or to compare them to each other without using the back button and clicking back and forth. Some have no items listed right now. Are they still in business, on vacation or competing on American Idol?I have tried the, have a TA contact me 3 times over the last month and have not heard back from anyone.In the past I have used college students and friends to list items for my business. Recently many of the have left and gotten; a full time job with benefits, married or pregnant.So I am still looking for a TA.Thank you for letting me vent. LOL I'm glad you came here to vent...it's good for all of us to get some feedback on user experience of the trading assistant directory.I do think you should go with gut and process of elimination. Certainly if you don't like the lack of specific information at a listing, cross that one off your list.If you have tried contacting someone via the directory and haven't heard back, please be aware that the directory is still brand new...many of us are still trying to figure out how it will communicate with us, and it IS a third party service, so we won't get communications via My Messages the same way we get other communications. Try contacting TAs directly through their listed contact information, rather than using the system. Then...if you don't hear back, that's another one to cross off your list.As for trying to decide who's serious...vs. who's just picking up pocket money...lack of information at the listing is certainly a hint, then interviewing TAs is certainly your prerogative as well.If you're looking for a serious TA..most advertise locally...look through your penny saver type mailers and at other local low cost advertising venues.If you're just looking for a hired hand to help you list things...your best bet might be to hire at an hourly rate, and train. If you find a good, experienced TA...you'll pay for their expertise. If you're just looking for extra help...training your own can be the best investment if you're looking for support in a business. PS it would help if you guys put more than UNITED STATES in your locations on your about ME pages. Scott, I agree with you. As an ebay REDOL we were promised by ebay that they would do what they can to spread the word and get our program noticed. I feel as big as ebay is they have not really tried. I feel like a franchise owner with no support from my parent company. I would love a study to determine the amount of items and revenue ALL “Trading Assistants” bring to ebay. We serve many different people and products. 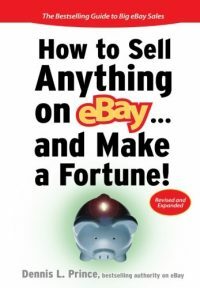 Most do not have the time or computer knowledge to sell on ebay. Ebay would just lose that business if we did not offer our service. We do advertise local. Many of our clients do find us through online searching. They never mention the ebay directory. 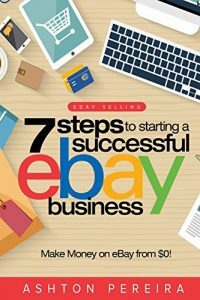 Like you mentioned, in the business ebay is in, you would think they would understand SEO and how people search the internet for products and services. Hooray for progress … that now the eBay Trading Assistant (TA) Directory appears at the top on Google!!! 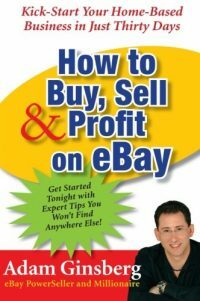 Even many veteran eBay buyers and sellers don’t know what an eBay Trading Assistant does. For many people, the term “trading” is more applicable in the investment arena.